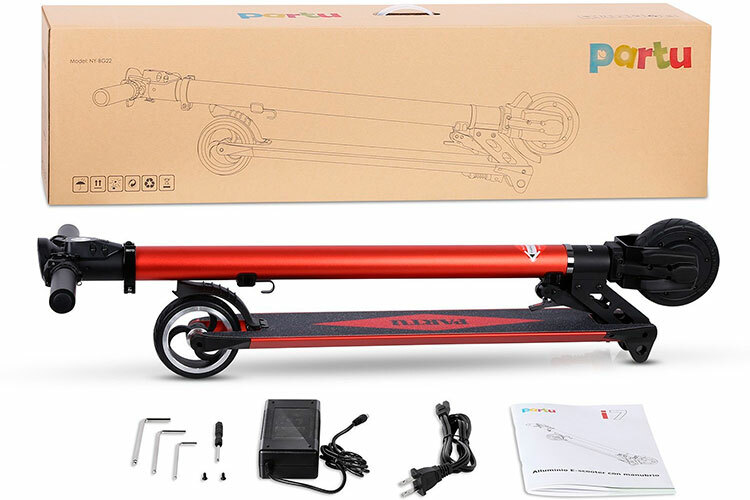 Partu Electric Scooter Review. Sometimes all you need is a practical, electric scooter with all the basics and none of the frills. 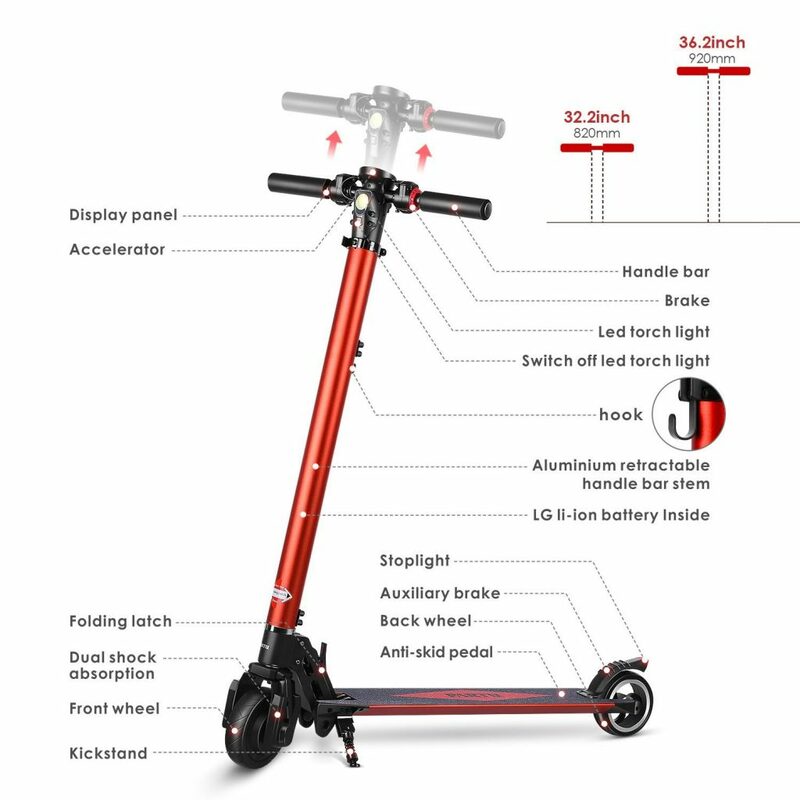 With the Partu Electric Scooter, you get all the indispensable features of high-end e-scooters without the expensive price tag. Cruise at faster speeds. Brake comfortably. The Partu e scooter won’t disappoint. It folds easily and stores in even the most cramped spaces. Partu Electric Scooter folds down and comes equipped with a 5.2 AH battery that can take the rider to distances of up to 9 miles. Its maximum weight capacity is 198.4 lbs. With a 3-hour charge time, this model can run at speeds of up to 7-8 mph in first gear, 11-13 mph in second gear and 16-17 mph in third gear. This model is simple enough for novice users. An effective brake system that includes a rear wheel auxiliary brake, is designed in such a way that deceleration is gradual when pressed. 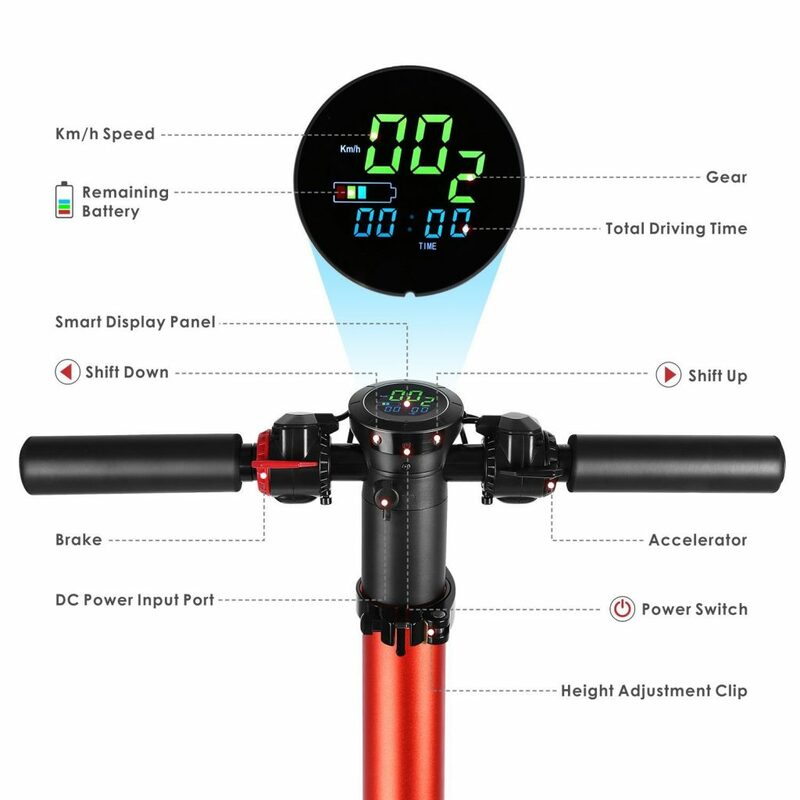 Other features include a kickstand, a luggage hook, an IP55 rating (which ensures secure driving under light rain), an adjustable supporting bar, a wide anti-skid deck and an LED display screen. 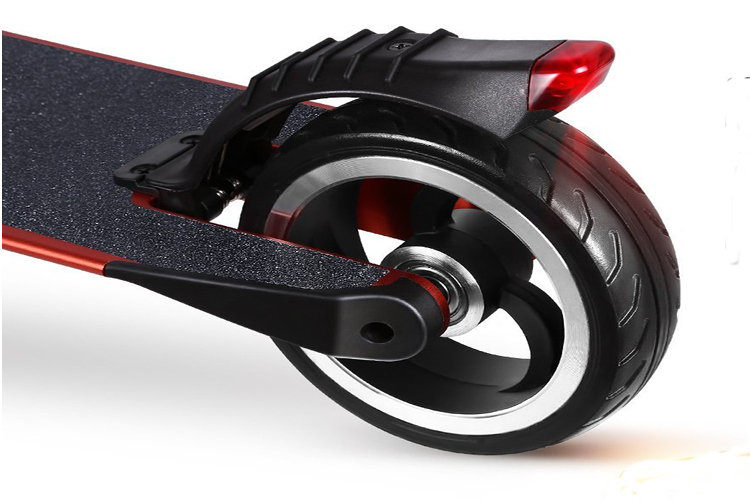 Front head lights can illuminate up to 78.7 inches, making this e-scooter a good unit for riding in low light conditions. 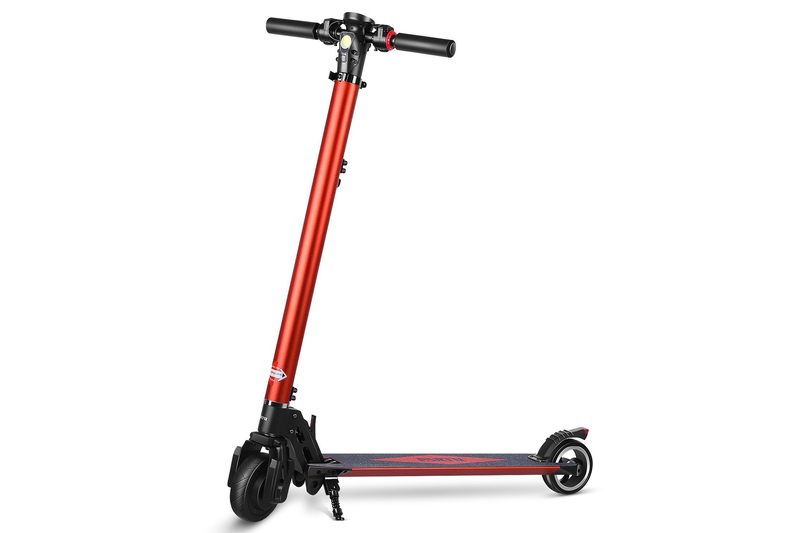 Customers report that the Partu e-scooter is a delight to use for its strong and yet compact features. It speeds and brakes well. Storage is never a problem as it folds into a compact size. 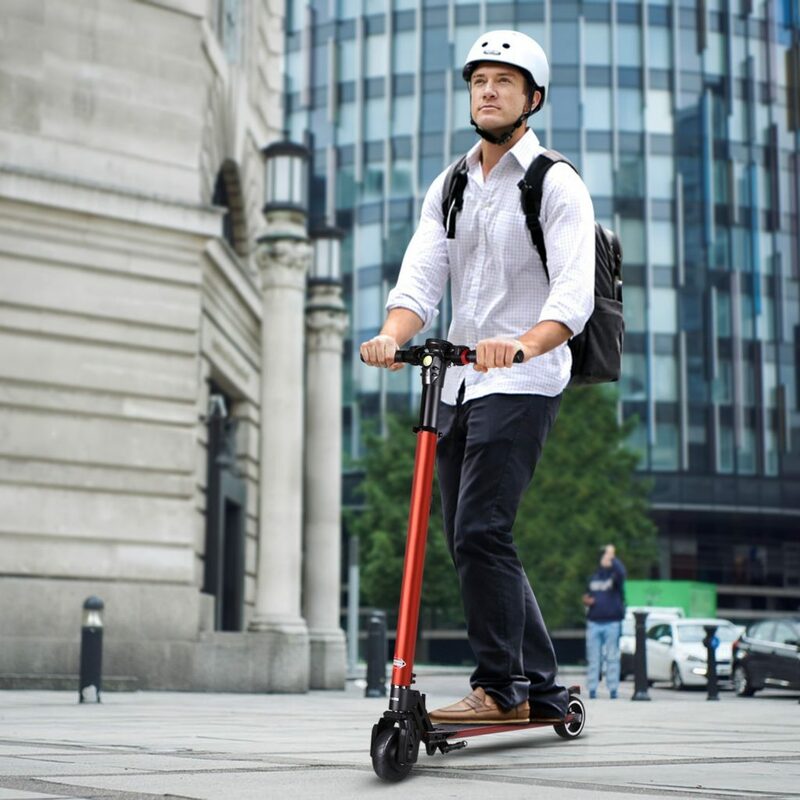 The Partu Foldable Electric Scooter is a lightweight dynamo. It offers a lot of flexibility in terms of speed. 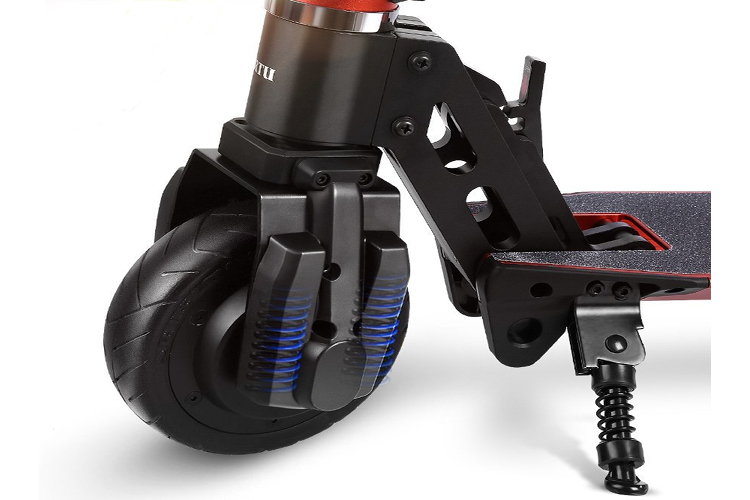 Its rear wheel auxiliary brake system makes it a good model for even the novice rider.